Liverpool are closing in on the signing of Philippe Coutinho after agreeing a €13.7 million deal with Inter for the midfielder, Goal.com can confirm. Coutinho is due to travel to Merseyside in the coming days to discuss personal terms and undergo a medical ahead of the move. Liverpool faced competition from Southampton for the Brazilian but appear to have got their man after an Anfield delegation flew to Italy this week to negotiate the transfer. The Reds have increased their initial €7.6m bid for Coutinho and the 20-year-old is understood to have made clear his preference to move to Anfield. Coutinho played under new Southampton manager Mauricio Pochettino while on loan at Espanyol last season but Liverpool manager Brendan Rodgers has been determined to improve his squad as he targets a top four finish. The Reds signed Daniel Sturridge from Chelsea at the start of the month in a €14m deal and are also hoping to conclude a move for Blackpool midfielder Tom Ince before the transfer window closes at the end of the month. They will have to apply for a work permit before Coutinho’s proposed transfer can be concluded but that is regarded as a formality for the versatile playmaker, who has been capped once for Brazil. Inter’s financial circumstances have meant they have actively encouraged Liverpool’s interest in Coutinho this month, despite selling Wesley Sneijder to Galatasaray, as the Serie A giants line up a move for Corinthians star Paulinho. Coutinho signed for Inter from Vasco da Gama when he was 16, though he spent a further two years at the Brazilian club before moving to Italy. Coutinho had a productive spell on loan at Espanyol in the second half of last season before returning in the summer to Inter. Despite starting only three of the club’s Serie A matches this season – and making 10 league appearances in total – Coutinho is regarded as an emerging star. Speaking to Sky Italia earlier this week about Liverpool’s interest, he said: “The Liverpool offer? I’m happy with these offers, because it means I am doing my job well. A Liverpool delegation flew out to Italy on Wednesday to negotiate the transfer of Inter playmaker Philippe Coutinho. The Anfield officials, led by managing director Ian Ayre, are hopeful of agreeing a deal for the 20-year-old Brazilian. But they face competition from Southampton, who have also declared an interest in capturing Coutinho. Liverpool had a bid of around €7.7 million rejected for Coutinho last week but are confident an improved offer will be accepted by the Serie A giants. Inter have placed a valuation of €11-13m on the attacking midfielder, who has played a single full international for Brazil. Coutinho’s public stance is that he is happy to stay at Inter but Liverpool have been given encouragement that a deal is possible this month, given the state of finances at the Italian club. The player signed for Inter from Vasco da Gama when he was 16, though he spent a further two years at the Brazilian club before moving to Italy. Coutinho had a productive spell on loan at Espanyol in the second half of last season before returning in the summer to Inter. “But I think Inter have faith in me and I want to show my value here. I don’t feel that I’m on my way out. I hope to stay at Inter. When Brendan Rodgers arrived at Liverpool over the summer alongside his Swansea protégé Joe Allen, it is doubtful that the 39-year-old believed he had inherited a problematic midfield. His new club already possessed a top-notch holding man in Lucas Leiva, a world-class attacking midfielder in Steven Gerrard and, having purchased Allen, the presence which could knit these two talents together. The bonus signing of Nuri Sahin and Jordan Henderson’s decision to stay and fight for his place meant the middle of the park actually appeared to be the single most well-stocked area of the squad. But, a setback in the form of a two-month lay-off for Lucas early in the season soon put paid to that theory. Gerrard and Allen’s roles changed significantly during this period, as the pair were asked to drop deep whilst Jonjo Shelvey took on attacking duties. Unfortunately for the Welsh half of that holding duo, only Gerrard has seen off the challenge of Lucas’ return – but the most significant factor for Liverpool as a whole is that he has not reverted to an attacking role. Gerrard and Liverpool’s benchmark-setting season in the Premier League era was arguably in 2008-09, as they finished just four points behind eventual champions Manchester United after a thrilling title chase. The Huyton-born captain excelled playing behind Fernando Torres as the Reds flourished that term; therefore it provides the best statistical evidence of the 32-year-old’s evolving responsibilities. As is to be expected under a manager who prioritises ball retention, Liverpool’s possession statistics are up even on that unparalleled season, with the Reds completing an average of 534 passes per game as opposed to 513 in 08-09. Predictably, Gerrard is no different in that regard, averaging 74 passes per game in comparison to the 64 he produced four seasons ago. The most telling figure, however, is that Gerrard has made 36 per cent of his numerous passes this season from the defensive third, whilst just 23% came from that area in 2008-09. The midfielder is undoubtedly moving deeper as age catches up with him and, despite being just one short of the career-best nine assists he provided in 2008-09, his gradual retreat has caused one sizeable issue this season; a huge void behind the strikers. Both Henderson and Allen have been experimented at the peak of the midfield, but neither is an attacking midfielder in its classic definition, having scored just seven and four career Premier League goals respectively. But if Rodgers wants his midfield to continue functioning – and, in recent weeks, it has been doing so for the first time since his arrival – the goal haul of Daniel Sturridge and Luis Suarez must be supplemented from elsewhere. Thus, the pursuit of Inter midfielder Philippe Coutinho makes perfect sense. The Brazilian has played as a No.10 in the past and may well be viewed as the long-term solution in that position but, should he arrive at Anfield this month, it is unlikely he will be given a baptism of fire in a role which is not exactly prevalent in English football. Much more likely is that the 20-year-old will be asked to come in from the left, a task he has performed with distinction several times in Italy and during a loan spell at Espanyol last season. Liverpool’s lack of goals from wide may have been masked by their desperate, season-defining pursuit of Sturridge, but with that desire sated, priorities should now shift accordingly. Over the summer, the Merseyside club allowed Maxi Rodriguez, Dirk Kuyt and Craig Bellamy to depart, despite the trio contributing 20 goals from wide positions last season. So far this campaign, the combined efforts of Raheem Sterling, Stewart Downing, Fabio Borini, Oussama Assaidi and Suso have yielded just six. Coutinho, meanwhile, has plundered three goals in just 10 starts despite falling out of favour at Inter, and that is undoubtedly the sort of return from the wings which would instantly improve Liverpool. 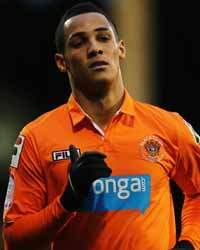 In fact, somewhat incredibly given the club’s ill-advised summer policy, this threat could even be further boosted by the addition of a decidedly more long-term target in the shape of Tom Ince. The former Reds trainee has scored 13 goals and provided 10 assists this term, statistics which far surpass those of the £15 million-rated Wilfried Zaha (even if they have come in the second tier of English football). Most encouragingly though, Ince has taken 72 shots in order to net on 13 occasions, a conversion rate of 18% which Liverpool’s most clinical winger in terms of shots-to-goals this season, Downing, comes nowhere near at 5%. Barring a late twist in January – one which is entirely possible given the frantic nature of the window – Coutinho and Ince are likely to be the Merseysiders’ only remaining additions. But their status as young, talented, hungry players who resolve concerns regarding the current squad is particularly noteworthy for a club who have made headlines for the wrong reasons in recent times. After years of inexplicably poor decisions in the transfer market, Liverpool might just be about to take control of their own destiny. Liverpool target Philippe Coutinho has outlined his preference to stay at Inter. The 20-year-old attacking midfielder has been the subject of interest from the Reds, whose hopes of signing his now-former San Siro team-mate, Wesley Sneijder, were dashed when the Dutchman opted to join Galatasaray. Reports had linked Brendan Rodgers’s side with an £8 million bid for the starlet that was rejected by the Nerazzurri. “I don’t feel that I’m on my way out,” Coutinho told Sky Sport 24. “I hope to stay at Inter. I feel the coach and the club trust me. The youngster has made only five appearances in Serie A for Andrea Stramaccioni’s side in 2012-13 but impressed during a short-term loan at Espanyol in Spain last season. If he were to join the Reds, Coutinho would become the Premier League club’s second signing of the January transfer window after the capture of Daniel Sturridge from Chelsea. Aston Villa are interested in signing Inter midfielder Philippe Coutinho, according to the player’s agent. The Brazilian was loaned out to Espanyol last season and has made just five Serie A appearances for the San Siro club this term. The 20-year-old’s representative, Cacau Barbosa, has now revealed that his client is on the radar of Villans boss Paul Lambert. “I can confirm Aston Villa made an enquiry,” he told FC Inter News. Coutinho scored on five occasions during his 16-game spell in La Liga last season. Last night, Fredy Guarin and Diego Milito helped us to win important match on Giuseppe Meazza, agains’t Napoli. With this win, we are second, trailing behind Juventus 4 points. Philippe Coutinho came into the match in 74′ as a substitute for Diego Milito. Next match is again a tough one, in Rome, agains’t Lazio. If you’re looking for a betting site, you can bet on Inter via http://topbet.eu/. Inter president Massimo Moratti is hopeful that his side can see off AC Milan in the upcoming Derby della Madonnina, and believes young attacker Philippe Coutinho could play a key role. The Nerazzurri twice defeated their city-rivals in the 2011-12 Serie A campaign, and the supremo has set his sights on yet another victory on Sunday. “It is possible that Cassano could make the difference, but I personally think that Coutinho could decide the game,” Moratti told reporters. “You can never tell who are the favourites ahead of the derby. Milan won a difficult away match in midweek, but I think we are on the same level. Sunday’s encounter kicks off at 20:45CET. Inter youngster Philippe Coutinho is eagerly anticipating Sunday’s Derby della Madonnina versus AC Milan and expects a difficult match. The Nerazzurri won the last Serie A encounter against their city-rivals 4-2 back in May, and the Brazilian is hopeful of recording another victory at the weekend. “The derby’s always a difficult game, hopefully we’ll be able to keep up the form we’ve shown in the last few games and get another win,” Coutinho told reporters. The youngster then looked back on his loan spell at Espanyol in the second half of the 2011-12 campaign, and insisted his time in La Liga has made him a better player. The 20-year-old Coutinho has netted three goals in 10 official appearances for Inter this term. Didier Drogba has been crowned the winner of the Goal Show’s Goal of the Week! The former Chelsea man produced a tidy finish to score his first goal for Shanghai Shenhua in a 5-1 demolition of Hangzhou Greentown – claiming a massive 50.81 per cent of your votes. In second place with 24.41% was Yakubu who netted for Guangzhou R&F, while former Celtic star Shunsuke Nakamura grabbed third place with 12.06% of the vote. Philippe Coutinho narrowly missed out on the top three on 11.91%, while Oleg Shatov trailed behind with just 0.81%. Be sure to tune in next week! Stay tuned to Goal.com for your chance to vote in the next Goal of the Week competition for the Goal Show. Former Barcelona and Inter striker Samuel Eto’o won your vote last time out following his wonderful effort in Anzhi Makachkala’s victory over Honved. But who will win this week? 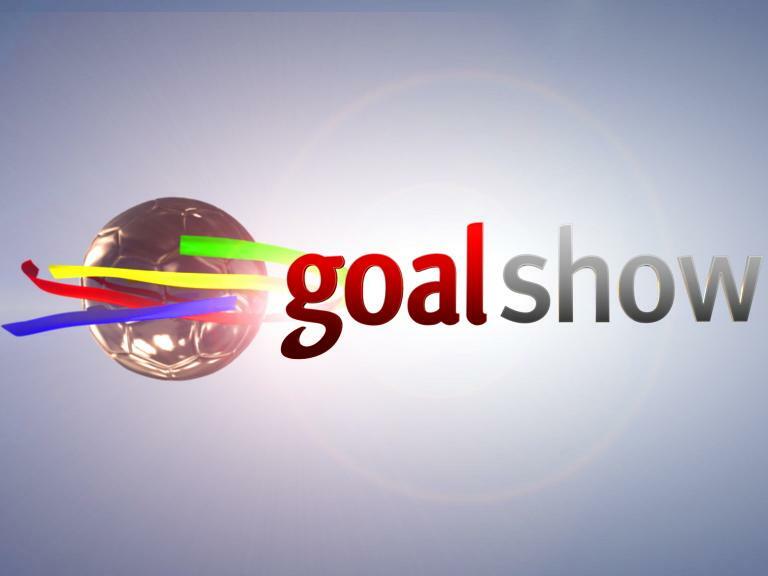 From the latest edition of the Goal Show, we select five goals and ask you to pick your favourite. The Brazilian showed a touch of class in front of goal with this sublime curling effort in Inter’s 3-0 Europa Leauge victory over Hajduk Split. At number two we have yet another Anzhi goal! Following in Lacina Traore and Eto’o’s footsteps last week, Shatov makes his mark with a great finish against Vitesse Arnhem. The former Chelsea favourite is off the mark in China! The Ivorian striker showed all of his power to put Shanghai Shenhua ahead, before he doubled his tally as his side demolished Hangzhou Greentown 5-1. At number four we have another Premier League old boy. The former Everton, Portsmouth and Blackburn forward netted his third goal since moving to China, and it’s enough to make our list. The former Celtic and Espanyol man completes our list of five with his superb effort against Vegalta Sendai.